Did anyone else have a set of encyclopedias growing up? We did, and I remember being excited about having access to so much information. Fast forward to present time and the seriously ridiculous amount of information our kids have access to at the swipe of a finger. In so many ways it is incredible and life changing, but we still believe in kids pouring over a book and lingering over the discovery of new to them facts. 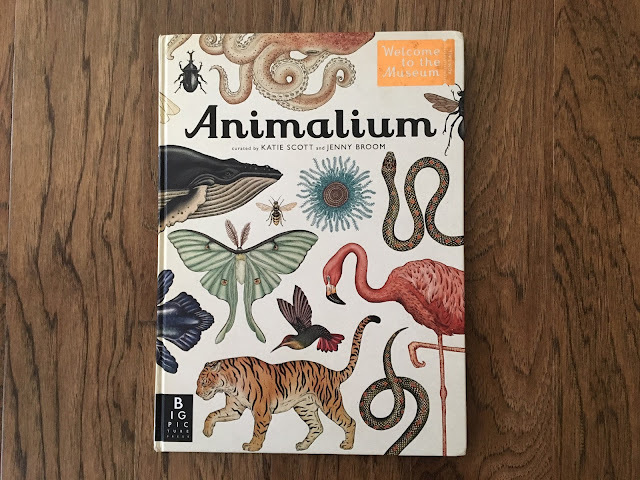 Our Book of the Week, Animalium: Welcome to the Museum lends itself well to such behaviors. 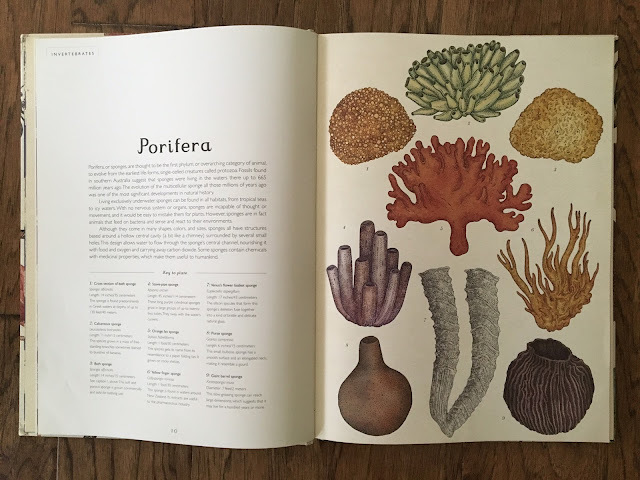 This book is beautifully organized and illustrated. 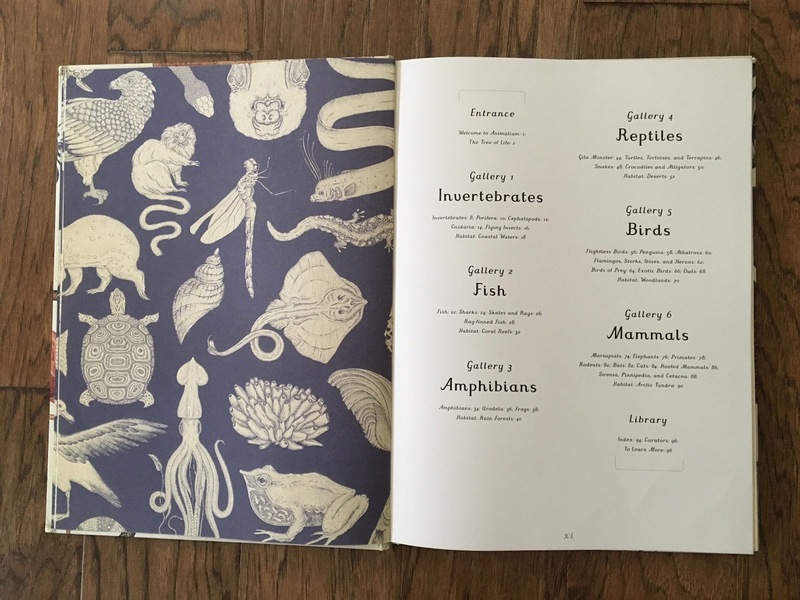 The concept being a museum in book form, but a museum that you can visit over and over again in the comfort of your own home. The images in this book are wonderful, they beg to be studied in detail. 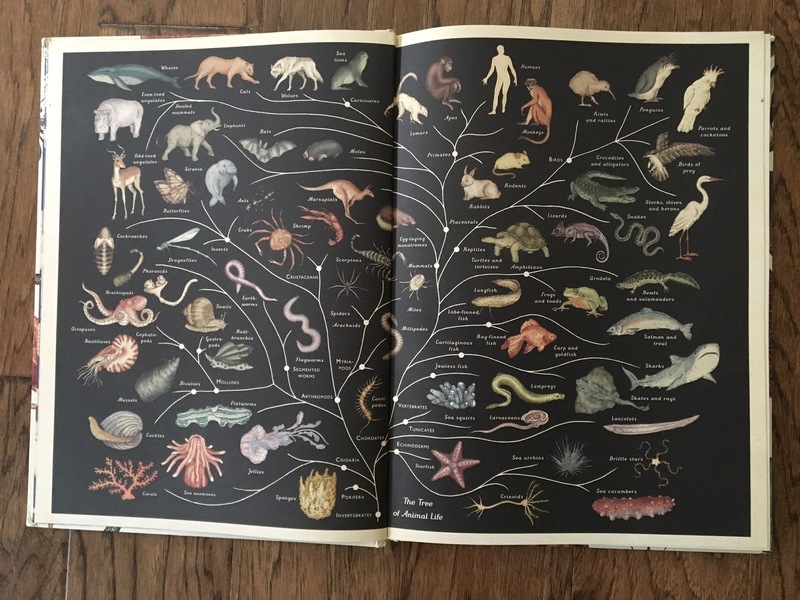 This Tree of Life appears at the front of the book, showing how all life is linked. The rest of the book is presented in Galleries by evolutionary order. Each Gallery features a few of the species in each class. 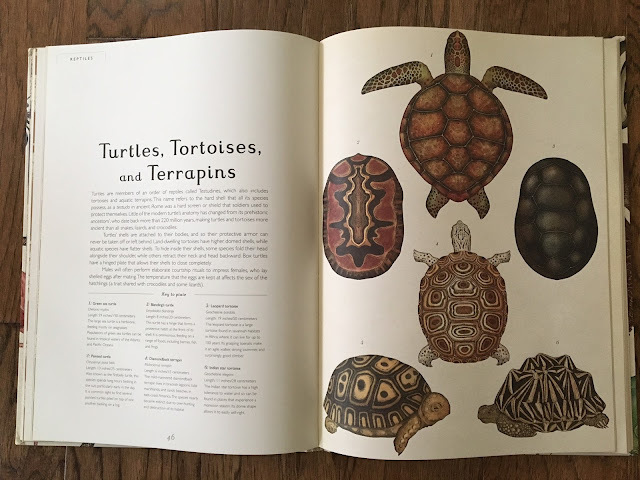 A general overview of the class is shown first then more detailed facts about each animal are listed correspondingly in the key to plate section. 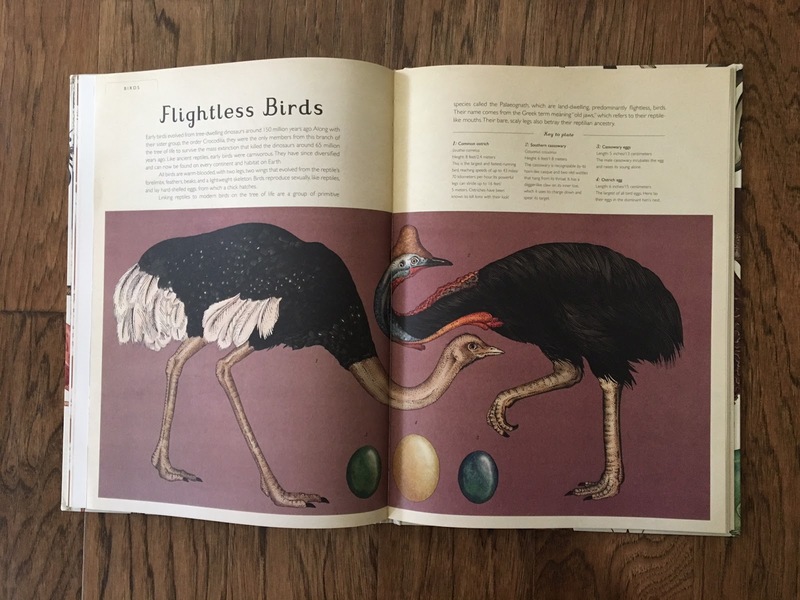 The large scale of this book is part of its charm as is the way the illustrations bring to mind a vintage text. We highly recommend this as part of any home library. If you like the looks of this, here are some additional titles you might enjoy.